The crisp ocean, warming sun, and green leaves make Ka‘ūpūlehu beautiful, but the birds help this place to come alive with song and dance. We are home to both native and non-native birdlife so take a look around at the unique feather patterns, personalities, and chatter that these beautiful birds offer. Naturally occurring and not introduced by humans. Existing in numerous parts of the world. Only occurring in one place and nowhere else in the world. Brought by humans and then naturalized. Our shorelines lend themselves to be a vacation destination not only for people but for migrant birds escaping the winter chill. 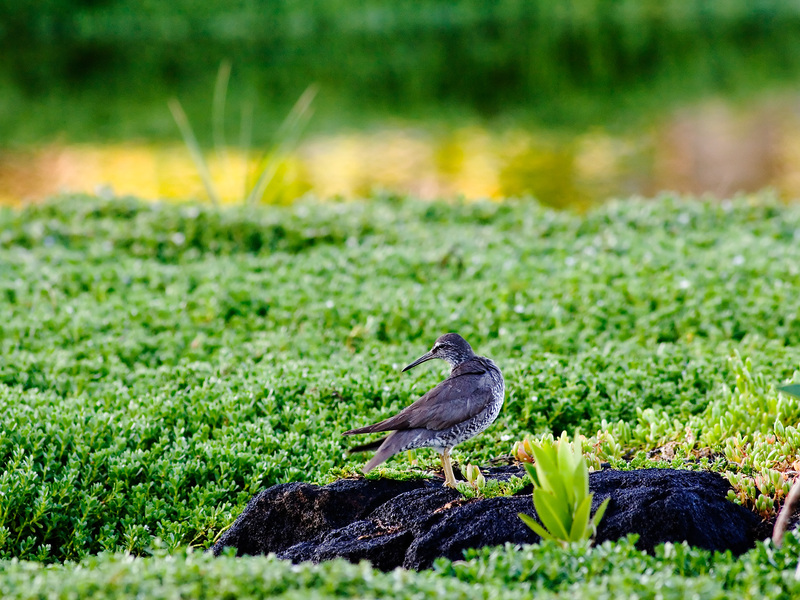 You can see these birds running along the sand or wading in the anchialine ponds enjoying a snack and enjoying the warm weather. Once winter is over we must say a hui hou (goodbye) for they must return to their northern territories. 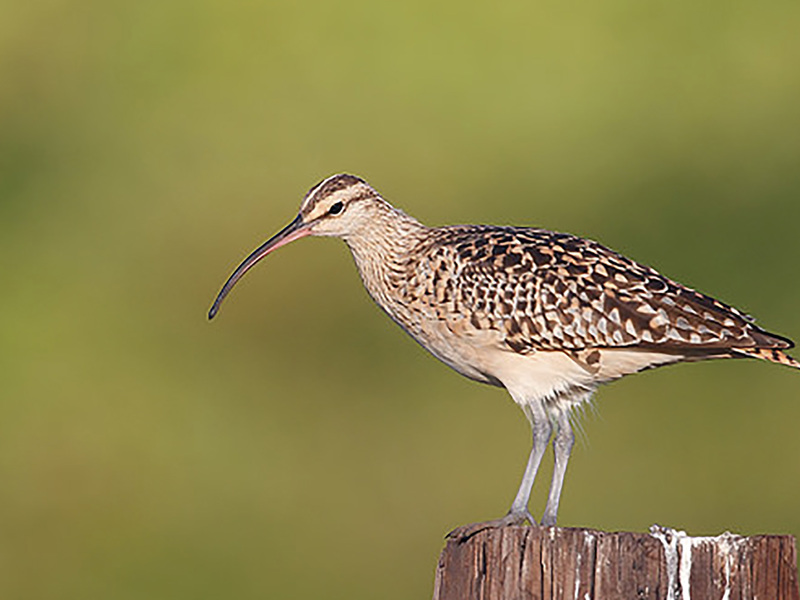 These birds fly to the warmer climates of Hawai’i, California, South Asia, and Australia during the cold winters of their native Artic, Northern Asia, and Alaska. Their plumage is usually speckled gold though in the spring you will see their feathers change to a bolder hue denoting breeding individuals. Fun to watch, these birds are seen on the lawns and in the sand running quickly and then abruptly stopping in search of prey. You can listen for chatter like songs, like someone is tattling or gossiping! Found looking for crustaceans and insects along the shoreline or wetlands while bobbing and jerking their heads. ‘ūliliis a winter migrant from Northwestern Canada and Alaska. Also known as Sandpipers because they forage for food along sandy beaches in search for sand worms and crustaceans. In the winters they wear mostly white feathers while during the summers in the Arctic Circle their feathers are brick-red. In Hawai’i we see the former feather coloration and its Hawaiian name meaning “sea foam” describes this seasonal change. They are also seen running in and out of the intertidal zone escaping the wave‘s white water as they search for food. 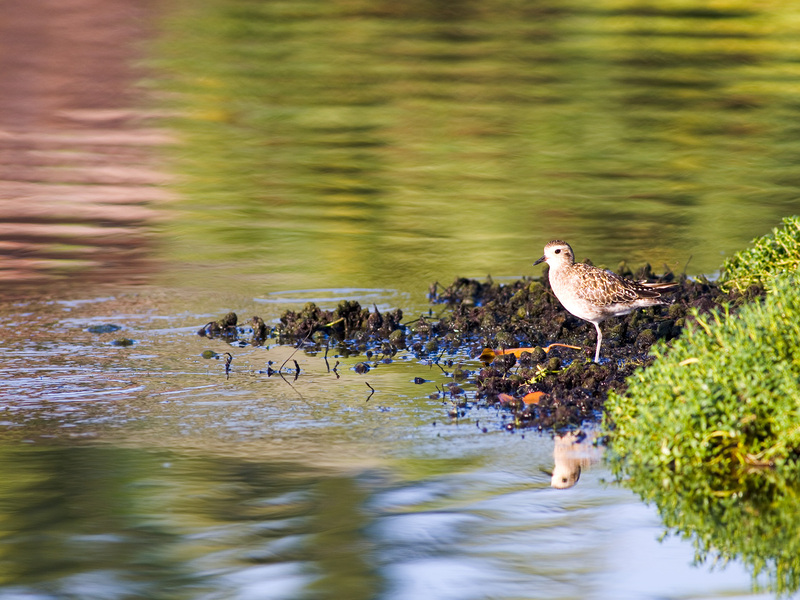 These winter migrants can be found flipping over rocks and pecking through the sand along our shore and in the muddy wetlands looking for insects and crustaceans. 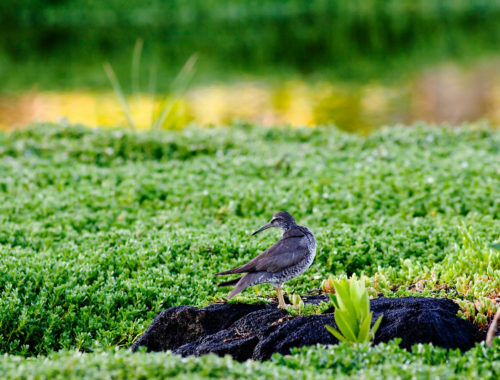 Their beak is shaped so that turning over stones and looking through algae is an easy task. They visit Hawai’i from the arctic tundra where they nest in the summer. First described by James Cook in Tahiti in the 18th century and is now considered vulnerable (by the IUCN red list) due to a population estimated to number only 7000 individuals. 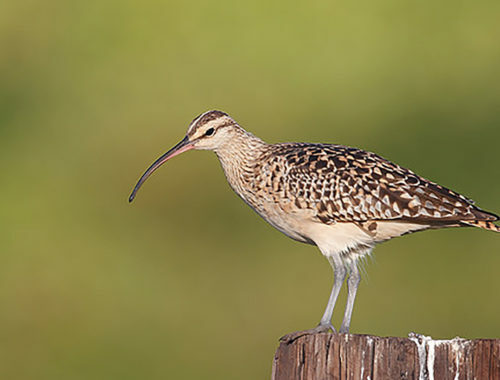 This larger migrant shorebird is unique in many ways. 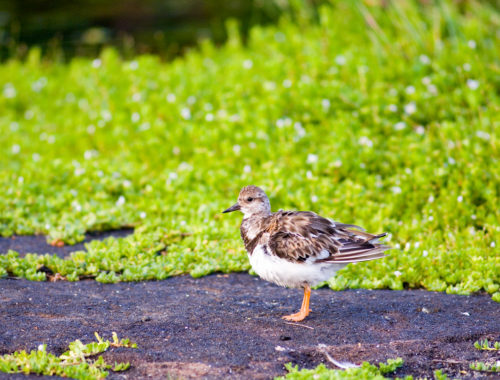 They are known to make a non-stop 4,000 mile (one way) migration between Alaska and Hawai’i. 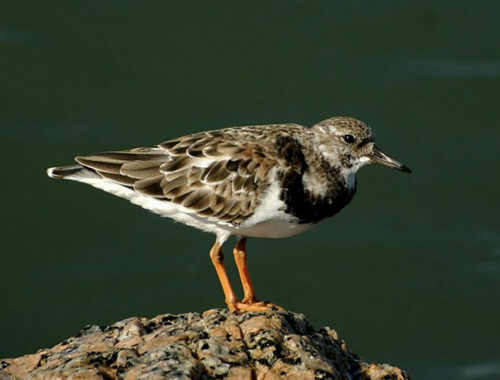 Kioea are the only known shorebirds to actively use tools in feeding such as rocks to break open crustaceans and the eggs of other birds. Kioea also become flightless when molting. Their unique call often sounds like the whistle of an adoring pursuer. Our resort was built around 14 anchialine (brackish water) pools and a natural wetland area once used by the Hawaiians for aquaculture (waiakauhi loko ‘ia) These areas are feeding habitats, nesting habitats, and recreation areas for two species of native wetland birds that remain on the island year round. Found on every continent except Australia and Antarctica. These birds are well adapted to living and hunting around water. They employ numerous predation techniques such as being slow and patient, often staying still for long periods of time to lure prey closer. They also vibrate their bill gently in the water to lure curious prey nearer. 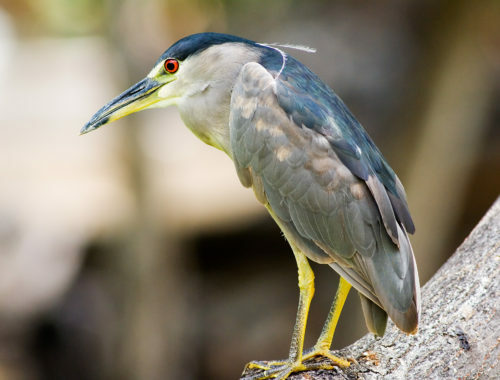 They eat a variety of foods ranging from fish, crustaceans, and insects, to rodents, and the eggs of other birds. 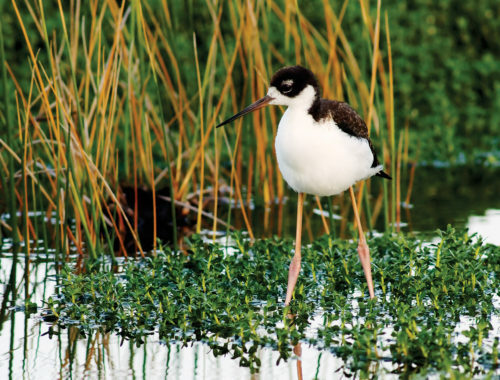 An endemic and federally listed endangered species; this water bird lives in our wetland environment year round and nests in the summer. They can be seen wading in the shallow waters dunking their heads underwater to find water bugs, crustaceans, and small fish. 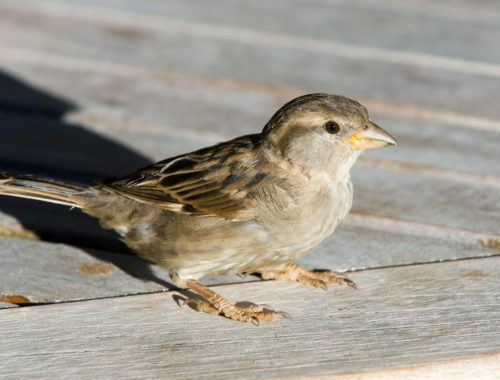 They are active defenders of their territories, squawking and squeaking when trespassers (including other birds) near, especially during nesting season and when their young are hatched. 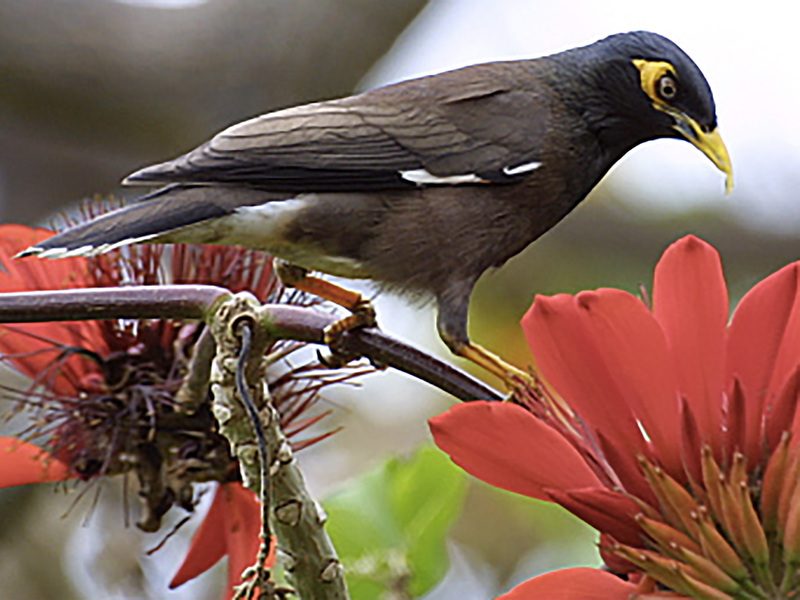 Hawai’i has become home to many non-native species of birds who have found the tropical climate, lack of large predators, and abundance of year round food most welcoming. Native to Asia, this bird was brought to Hawai’i in 1865 to control insect pests and is now common on all islands. 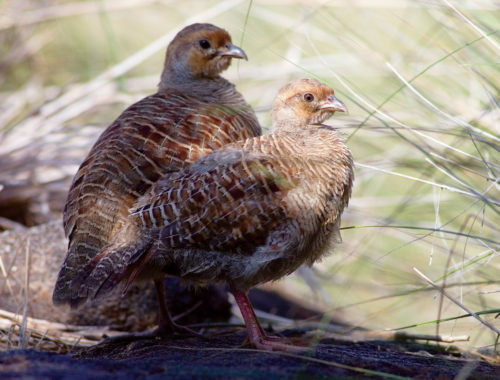 These are social birds often seen in pairs or small groups. These birds are sometimes kept as pets because of their ability to imitate speech. Brought first to the island of Oahu from New Zealand in 1871 and currently resides on all the main Hawaiian Islands. Seed, insect, and berry eaters, they can be seen bouncing along the ground gathering foliage for their nests or taking dust baths. Only found on two islands, the Big Island of Hawai’i and Oahu. This brightly colored cardinal was originally brought in 1929 from the eastern United States. 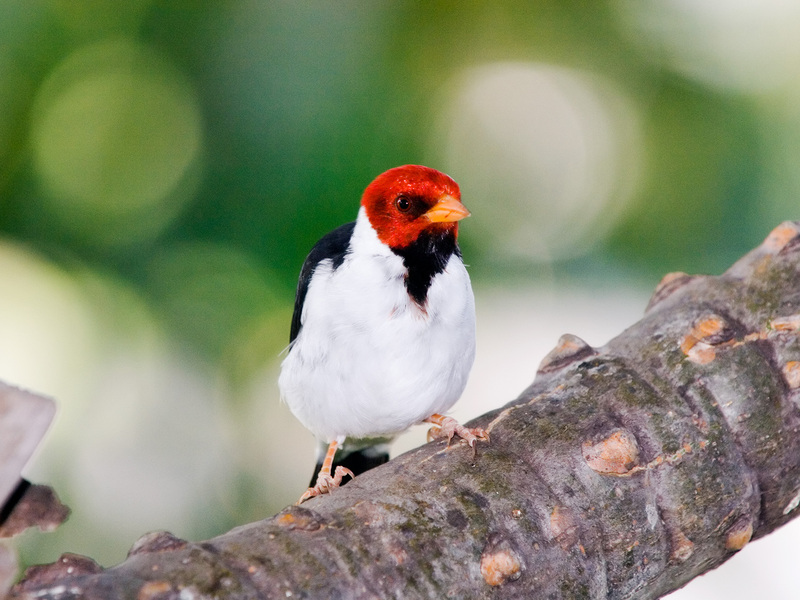 Males are a beautiful bright red while females wear a duller, yet more camouflaged hue. There are few female song birds that sing, the Northern Cardinal being one of those few. She often sings while sitting on her nest, possibly communicating to her male partner on when to bring food or if there is danger. 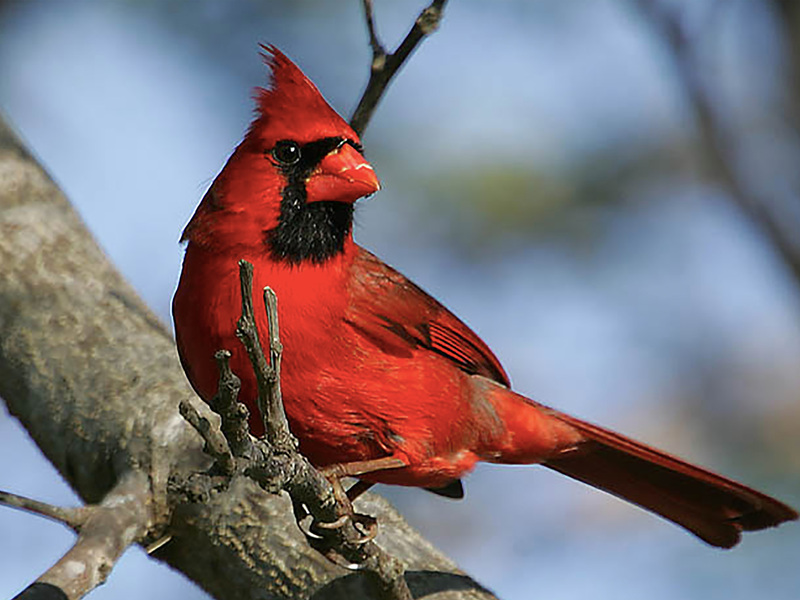 In 1930 this cardinal was brought to Hawai’i from South America, sometimes referred to as the Brazilian Cardinal. They are common in small groups of adults and juveniles. Juveniles, sometimes as large as adults, will wait for adult birds to pass food to them instead of foraging for themselves. Juveniles can be differentiated from adults because of their duller helmet color. Native to the plains and drier parts of south Asia, these birds now call the leeward sides and coastal areas of the Hawaiian Islands home. Often calling out in the early morning and frequently during mating season, where courting pairs sing duets or rivals challenge each other for the affections of a mate. In the spring you can see family groups running along the ground with several chicks in tow. 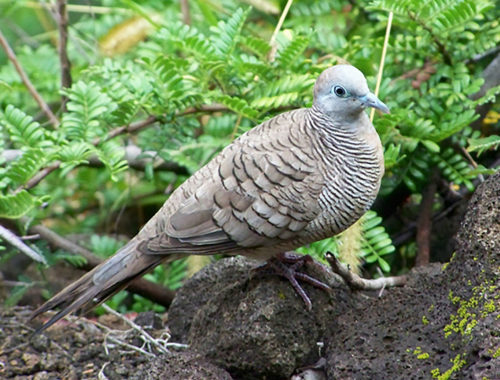 These small grey doves are common in Hawai’i after being introduced in the 1920‘s from South East Asia. However, they are commonly captured and sold in parts of Indonesia where their populations have rapidly declined. 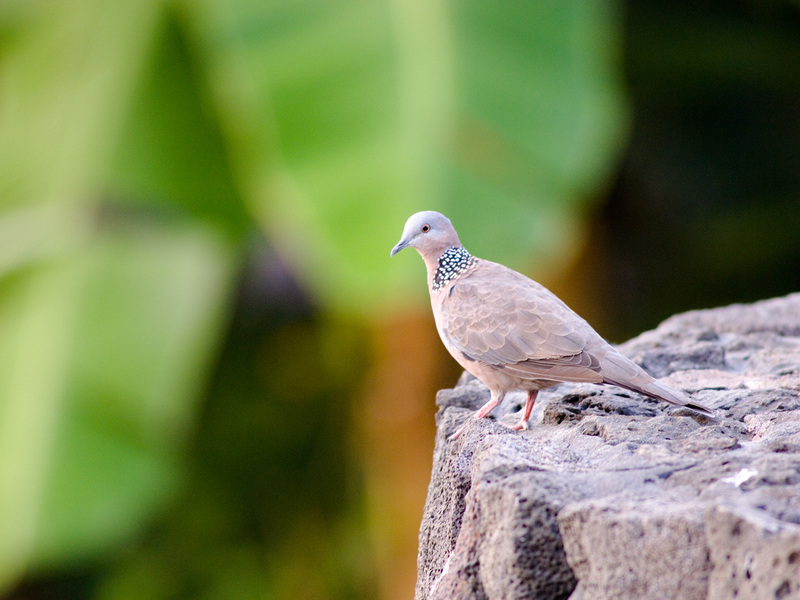 Smaller than the Spotted Turtle Dove, they are identified by the striping pattern on their chest. Though commonly called a dove, this bird actually belongs in the Pigeon family. The spotted ring around this bird‘s neck allows it to also be called the Ring Necked Pigeon. This bird was introduced to Hawai’i in the mid 1800‘s from South East Asia.